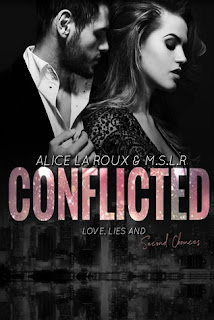 Authors: Alice La Roux & M.S.L.R. Synopsis: Kaleb loves Serena. Serena loves Kaleb. he wants and he isn’t backing down, even if it means playing dirty. Can this couple move past the secrets and lies to find their second chance? M.S. L.R., lived in Los Angeles, California for eight years, then moved to Arkansas and has been living there ever since. She graduated Springdale High School in 2007. Currently, she has a full-time office job and has two boys that keep her busy when she’s not at work or writing romance stories. She loves to read, write, read and write! Author M.S. L.R. has also published under Stefany Rattles. Alice La Roux is a dirty minded, mouthy author who is still trying to find her genre while dabbling in erotica, fantasy, and horror. She’s a bookworm who reads anything and everything and is addicted to social media. Find her on Twitter @AliLaRoux or see random pictures of her dogs and food over on Instagram @AliceLaRoux. Feel free to add her on Facebook, she doesn’t bite…much. Review: Haven't you ever wondered about the one that got away? Conflicted gives hope to the hopeless romantics out there, that in the end, there's still a chance true love will win out over time and change. Afterall, we never really leave our true love behind and carry them into every new relationship we enter and every new adventure we embark on. Sometimes the tides of time and change pull us too far away to go back. But what if...things weren't too far gone? What if there was still a chance to set things right? Conflicted is perfect for all the hopeless romantics who can't help but wonder...what if?